In January 2016 a Homeowner in Georgia probably thought he was acting wisely when he allowed two people into the home that were dressed in uniform. These two individuals were allegedly, dressed as and impersonating law enforcement but came to the home with bad intentions. 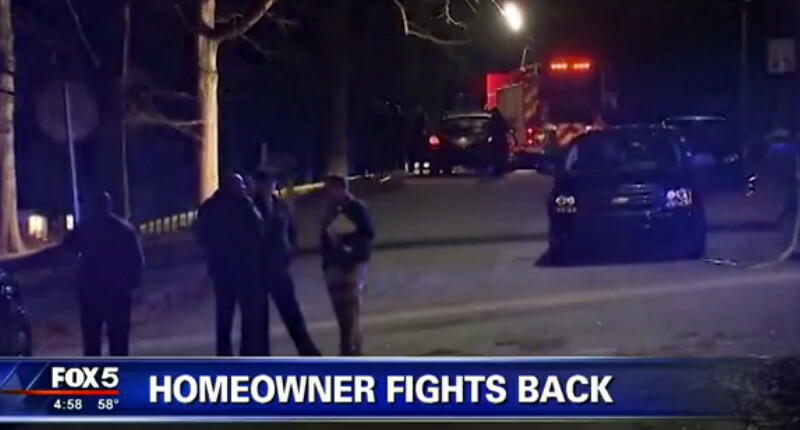 Things went bad and the homeowner began to physically wrestle with the intruders. Later they would be found with zip ties so it has been assumed by media outlets that the intruders may have attempted to secure or tie up the homeowner but they failed. As the homeowner got free of the individuals he retrieved his firearm and opened fire. One of the intruders would die and the other would later be brought into custody. The homeowner's mother who lives in the home suffered a heart attack after the invasion. Hernandez, who was treated for minor injuries, told FOX 5 his 51-year-old mother, who doesn't have insurance, had a heart attack when they were pistol whipped. We may never know what the true intentions of these criminals were but its clear they didn't hesitate to use brutal and serious physical force to commit this crime. This whole fiasco occurred between five and six in the evening. Don't assume that home invasions only happen late at night. You must always be prepared. Why are there no laws enacted which would hold any and all home invaders liable for medical costs incurred by the homeowners and / or families? Some states do have laws that either protect the homeowner from criminal AND civil liability and/or place that liability on the criminal. There are also some state laws (at least I’ve been told) that also require a home owner insurance policy to cover some of those things.